What if a foreigner moved to your country and took your job? Worse yet, what if he opened the door to your house, looked around, and said “Hmm, this looks good, I’ll just crash here”. You’d want to defend your turf. But what if you had no recourse but to watch, quietly fuming, as he set up shop, with all his stuff spread around, while he went about his alien rituals? What if his pungent spices make your eyes water or that stuff he smokes makes you wheeze and rattle or his mere presence leaves you exhausted and unable to function? Who would you call to get rid of this guy – the police, your friends in government, maybe the union? What if, after a while, he decides the living room isn’t enough, so he moves stuff into your kitchen, the bathroom, and then … your bedroom! Sounds like a nightmare, doesn’t it? Celia is a born-and-bred Bermudian. She attended Berkeley institute, studied business in the UK, and worked her way up to a senior position in the Bermuda civil service. She understands boundaries, policies, and processes. When Celia was 41, she developed a nagging chest tightness. A chest x-ray showed some stuff in her lungs. Maybe she breathed it in, maybe it was something she ate, maybe she picked something up in the UK. A biopsy was taken. Under the microscope it looked like a few little granules, built up into a kind of bump. To the pathologist’s eyes, it resembled an oval battlefield, strewn with remnants of white blood cells, defenders of the home turf. Oddly, though, the enemy was nowhere to be seen. Unfortunately for Celia, the battle had just begun. Over the years, skirmishes erupted on her arms and legs, and less obvious disagreements smoldered in her liver and spleen. Her eyes began to water. She coughed. She wheezed. Some days she was exhausted and unable to function. Then, last year, she started experiencing dizziness and palpitations. Her doctor ordered a PET scan which showed splotchy areas of inflammation in her heart. It seems this faceless intruder had moved into her heart, and her immune system was going to have none of it. Sar-coy-DO-sus? What’s that? To be fair, when a patient asks me this question, I, too, pause for a stunned second. I’m trying to buy time. I want to say “It’s a noncaseating granulomatous disease,” but I know that’s a medical student’s response, which is of little help to Celia or anyone else with this condition. The trouble is that no one really knows what sarcoidosis is. To be more specific, no one knows how or why you get it or what causes it. It has a predilection for women and blacks, but it can affect anyone. There seems to be a lot of it in Japan and Denmark. Bermuda has a fair bit, too. If you Google it, you’ll find that, just like the imaginary stranger that invaded your house, sarcoid can set up shop anywhere. It may pick your lungs, eyes, face, or skin (showing up as purple splotches), or hide out in your liver, spleen (hint: under your diaphragm, on the left), kidneys, lymph nodes, nervous system, or bones. Is it a cancer? Nope. Is it some kind of infection? Maybe, but probably not. Is it contagious? Don’t think so. Does it run in families? Possibly. What we do know is that sarcoidosis is your body’s response to some invisible stranger, who, when he arrives, incites an inflammatory reaction. If things get out of hand, a raging battle ensues, and the little “granulomas” it leaves behind are called sarcoidosis. 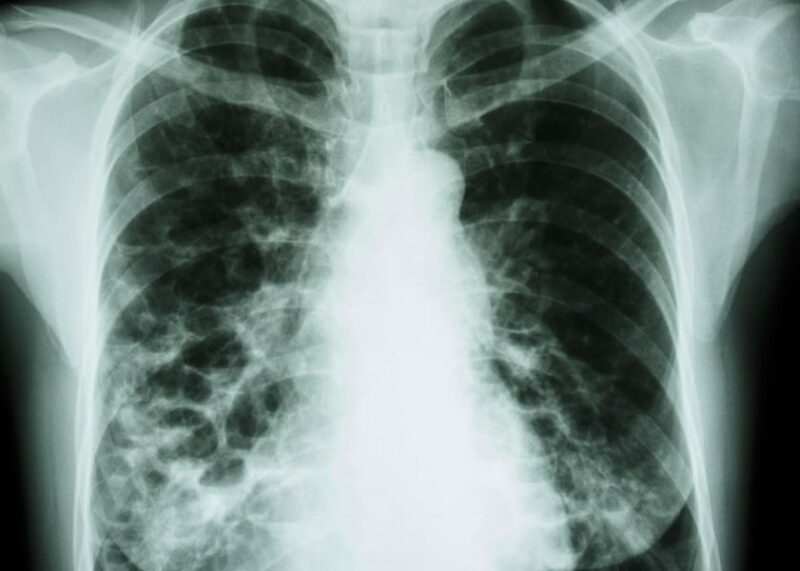 It turns out the best treatment for sarcoidosis is to suppress the immune system, although anyone with the condition will tell you there’s nothing “best” about it. It’s like asking, or more to the point, forcing, your immune system to calm down and stop reacting to this stranger in a such an exaggerated fashion. It’s not fair. But like it or not, your immune system has its own agenda, and herein lies the problem. “Nope”, it says to sarcoid, “Whoever you are, you’re not welcome here”, and the battle erupts again, whether in your lungs, under your skin, or throughout your heart, and the granulomas arise as evidence of the fight. It’s exhausting. So, what happened when the sarcoidosis battle moved to Celia’s heart? Well, there are only a few ways the heart can protest. It’s a pump – usually a strong one – but in Celia’s case the pump weakened, leaving her tired and short of breath. Then, when the skirmish moved to the middle of her heart’s conduction system, there were electrical stoppages during which she kept fainting. Another eruption in the left ventricle caused her heart to race at over 200 beats per minute, causing palpitations, dizziness, and chest discomfort. She needed a pacemaker and a defibrillator. Most importantly, her immune system needed to be told to back off. By inflaming everything around the nameless intruder, the situation was made worse. Since no one knows what causes sarcoidosis, the best doctors can do is tone down the inflammation. It’s not ideal. Anti-inflammatory drugs are required, and we’re not talking about turmeric, aspirin, or Motrin. We’re talking about prednisone (yup, weight gain, blood sugars out of whack, infections), and methotrexate, azathioprine, and Cellcept (yup, bone marrow depression, more infections). These are the same big-gun anti-rejection drugs used to prevent the immune system from rejecting kidney or heart transplants. It’s a balance that must be struck between containing something your immune system doesn’t understand or want around, and modifying its over-the-top reaction. For those of us who don’t suffer from sarcoidosis, is there anything to learn from the battle waged in Celia’s heart? One thing I’ve learned is that it helps to understand what, or who, the real enemy is. Sarcoidosis is an odd situation, because the disease doesn’t seem to be the foreign invader, the disease seems to arise, at least in part, as an overreaction of the policing immune system, a reaction that threatens the well-being of the entire organism. In that case, one may ask, who is the enemy? In some situations, the human body can only function properly when the ever-vigilant immune system is persuaded to tone down its response. For Celia, that meant steroids and anti-rejection drugs to quash the unrest. In a community it may mean a change in mindset. In a country it may mean legislation. When I think about sarcoidosis – those nameless foreign antigens and the reactions they incite – other images come to mind: Walls to keep Mexicans out. Boatfuls of Syrians arriving at Lampedusa. Brexit. Is Celia’s personal microscopic world with its granulomatous battle fields any different from your bigger world with its necessary immigration policies, but also its suspicions, mistrusts, and general ignorance of the enemy? When considering a contained organism – whether a cell, a human, a country, or even a planet – Celia’s story reminds us that somewhere there must exist a middle ground between the strict high-minded policies of defense systems and the strangers who make their way into our bodies, or onto our shores, look around, and decide to stay. Strangers who, for one reason or another, often remain invisible to us. For more news on the latest developments in cardiology, visit www.ShaneMarshallMD.com, subscribe to the free newsletter The Annals of Cardiology, and follow Dr. Marshall on Twitter @ShaneMarshallMD.